MikroVPS Review 2019: Is MikroVPS a Good Hosting? Started in April 2012, MikroVPS is a website hosting provider based in Budapest, Hungary. The vendor offers shared hosting, reseller hosting, VPS, and dedicated servers which it markets to its customers in Hungary and beyond. MikroVPS is a hosting provider that was originally founded in 2012 as an IT solutions company in Hungary, but has since evolved to become a full-fledged hosting and domain name registration provider. It offers shared hosting, VPS, SSL certificates, reseller hosting, and dedicated server solutions to its customers in Hungary and several other countries around the world, including the United States, the United Kingdom, and Germany. The MikroVPS website is available in English, German, and Hungarian. MikroVPS hosting solutions are powered by highly effective servers housed in its Hungarian data centers. The data centers are equipped with redundant power supply, HVAC, and fire-detection systems. This all but guarantees reliable services. It is important to note that MikroVPS uses KVM technology that provides a completely virtualized, isolated platform with direct allocation of RAM, storage, and CPU resources. In addition, MikroVPS KVM infrastructure allows users to choose an operating system from a number of available options including multiple versions of Linux, Solaris, BSD, AROS Research, Haiku, ReactOS, and Windows. 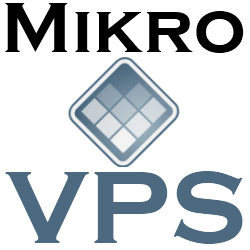 MikroVPS shared hosting plans include cPanel/PHP hosting and Plesk/ASP.NET. cPanel/PHP hosting is the traditional Apache, PHP, and MySQL database hosting. It uses the popular cPanel control panel. Plesk/ASP.NET hosting is the vendor’s Windows Server-based web hosting with IIS web server and MSSQL database. MikroVPS has a unique backup solution that its customers can opt for instead of the traditional backup solution you would find with most vendors. The solution uses the R1Soft Server Backup Manager. Through it, customers are all but guaranteed continuous and efficient data storage. What’s more, the solution ensures that backups happen every 15 minutes. The R1Soft backup solution is available for both Linux and Windows OS platforms. Besides the standard free SSL certificates included in this vendor’s web hosting services, MikroVPS offers other SSL certificates and SiteLock packages as additional hosting tools. They come with advanced features for clients looking for high-end security for their websites. Considering the resources and features included in MikroVPS hosting plans, they are reasonably priced. The prices are listed in Hungarian forint, U.S. dollars, and euros. The vendor offers pretty flexible billing cycles. They include monthly, quarterly, semi-annual, and annual subscriptions. MikroVPS hosting solutions include a 99.95% uptime network guarantee and a 14-day money-back guarantee. The 14-day money-back guarantee is notably shorter than the 30-day guarantee that most other vendors offer. If you need technical assistance, you can contact MikroVPS’s 24/7 available support desk via telephone, email, ticketing system, and live chat. When I contacted them via their live chat, the support rep advised me to open a ticket for further and more detailed correspondence. The support team comes across as well-versed with all issues pertaining to hosting and seemed eager to help. Moreover, the vendor has a fairly detailed knowledge base available on its website that includes video tutorials, as well. MikroVPS hosting solutions seem well-designed to handle an array of websites with a wide range of hosting resource demands. The vendor’s highly responsive and helpful support makes it a good option for many business organizations looking for hosting solutions in Hungary. Wondering how MikroVPS stacks up against other Web Hosting companies? Enter any other Web Hosting company and we will give you a side-by-side comparison.